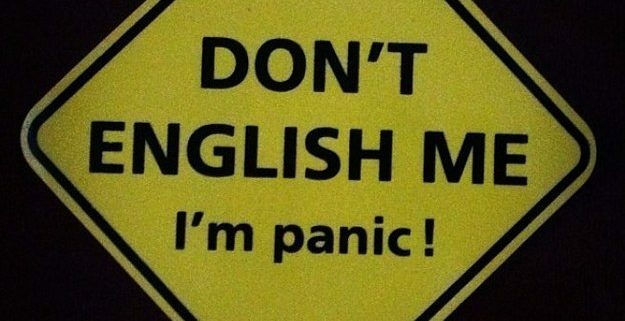 When I was growing up, I noticed that many Filipinos react to English in the most peculiar way. Although it wasn’t my first spoken language, I never saw it as something other than just another language when I was young. I actually grew up in a Tagalog-speaking environment, but English was spoken from time to time because I had relatives who would bring friends from other countries, so it’s not a complete stranger to me. However, by the time I was in high school, my classmates and other peers would give strong reactions to people who spoke English, or Taglish which is the combination of Tagalog and English, very well because they think this person belongs in a particular group in society. 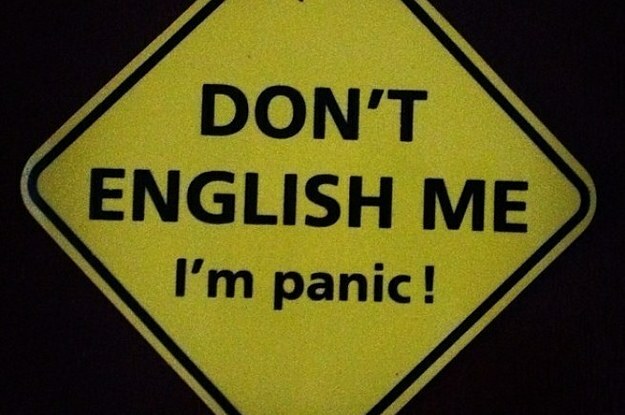 Common reactions would be “don’t English me, I’m panic,” “I’m running out of English,” or even “my nose is bleeding (from all the English).” For most Filipinos who grew up in Metro Manila like me, it is not actually difficult for us to understand English, but only a few could express ourselves in a very natural way. They react and say things like that mainly because of three common misconceptions. To begin, the first misconception that I would like to mention is that a Filipino who speaks English very well is mistaken for someone who belongs in a very wealthy family. Although this is not a general fact, it is commonly observed in high class families. However, some simple families also use English as their main medium of communication inside the house, and some wealthy families even use Tagalog as their main language in their home. For example, when I was in high school, we would normally speak Filipino. When someone speaks good English in a normal conversation, kids would brand that student as the rich kid in school simply for speaking a language other than Filipino. However, that particular student that had just been branded belongs in a more or less middle class family, but not excessively wealthy. Another misconception is that people will think you study in a prestigious school if you speak fluent English in public places. These places are malls, parks, and restaurants. When I was in college, I’ve met a lot of people outside of school because of my original circle of friends. Since we didn’t go to the same school, meeting other people in big get-togethers is inevitable. In a table filled with strangers at a party, it became normal to me for people to assume that I belong in schools like Ateneo, College of St. Benilde, or De la Salle where, in fact, I was studying in Adamson University which is an awesome school, but I suffered the first misconception there which I always thought was funny. A funny story about this was when I was on the MRT going home from Quezon City, a random stranger asked me if I was from De la Salle University after he overheard me speak to a friend on the phone. I said no then she just ignored me until she got off the train. Lastly, speaking in fluent English will make people think you either grew up in another country, you travel a lot, or you’re half something. For me, this misconception is more reasonable than the other two because this one actually made more sense, but I also see the connection between languages and social status and schools. Whenever I meet a new student in The American Institute for English Proficiency, they would sometimes ask me if I grew up in the U.S. or somewhere else because of my accent. I suppose having a natural or at least neutral accent can make someone be easily mistaken for someone who travels or lives of a foreign country. 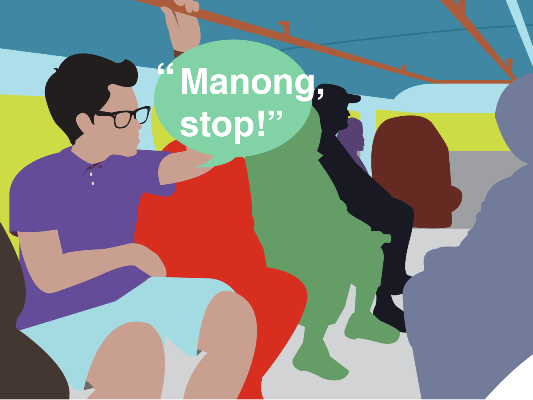 Filipinos have always had a funny way of seeing other Filipinos who speak fluent English. Fortunately, it is becoming more and more common for Filipinos to speak English very well, so the branding is slowing fading away. Just because someone is good in speaking English does not necessarily mean they belong in a particular group. Some of these people just took the time to practice and sharpen their communication skills, and I guess that’s just a funny a side effect in taking the extra mile.